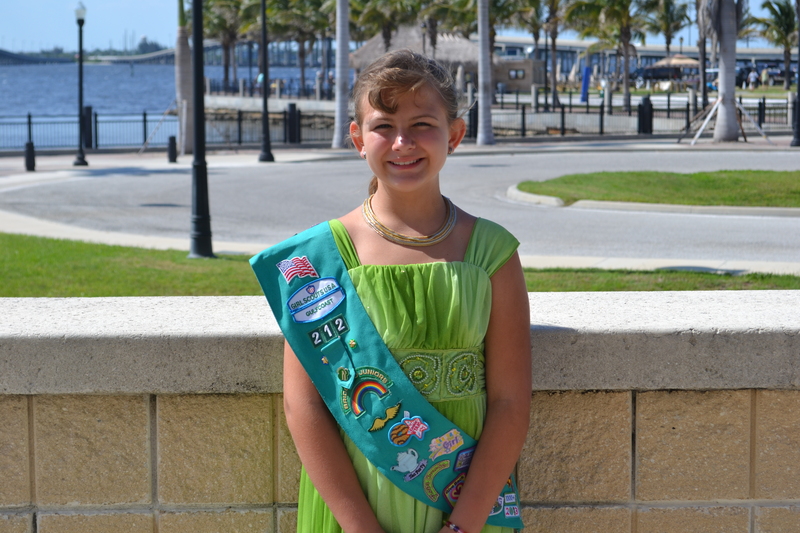 Goal Setting for the Girl Scout Cookie Program « Girl Scouts of Gulfcoast Florida, Inc. The Girl Scout Cookie Program is the largest girl-led business as it not only teaches girls valuable skills, but it can help them financially create experiences they never thought possible. Goal setting is one of the 5 Skills learned during the Girl Scout Cookie program and can help girls achieve their dreams. Individual girls have their own rewards for every part of the Girl Scout program including patches, fun events, cookie dough (a credit card for the shop or Juniors and up can bank it for great options), and the extreme team: 1,000+ cookie sellers who earn items such as tickets to “Girls Unite” at Walt Disney World, iPad, and more (all items cumulative). Last year we had 145 extreme team winners! Inspiration from 2014 top seller: “If someone says you can’t do it, don’t believe them. Just keep going; you’ll make it!” Emma sold 4,267 boxes of cookies. Troops earn funds for each box of cookies. Volunteers should discuss what kind of troop goals they should set. Think about a fun/learning goal such as a celebration or travel opportunity and also a goal to help others and give back to the community. As a troop, try and do something new and exciting that girls may not experience otherwise. Also remember the most important aspect, girl-led. Incorporate goal setting in your troop meeting so girls can discuss and vote on what they want to do. And remember, girls can save their earnings for future big trips. 2014 GSGCF fun and learning goals: troop took a cooking class, designed and purchased troop shirts and visited the local print shop, space camp, saving for Europe in 2016, went to a marine biology camp in the Keys to learn about protecting the waterways, purchased starter kits and membership for each girl, saved for a troop trip to NYC and a Girl Scout program on Broadway. 2014 GSGCF Girl Scouts Give Back: purchased needed products for centers, shelters, and hospitals, supporting Ronald McDonald House with donations and dinner (and cooked themselves), each girl picked a charity and donated $25 in their name, donated $100 to a month of satellite time to track turtles, supported a 3-year old with epilepsy in getting her a service dog, purchased much needed PE equipment for their school, helped make play grounds wheelchair accessible, and delivered extra boxes of cookies to a veteran nursing home. Don’t forget to tell customers about your goals! They might not need any Girl Scout cookies but once they hear your goal, they may just change their mind. Be creative. Troops last year decorated their booth with their goals and causes. With Digital Cookies, incorporate your goals on your personal pages.